We started with Eucharist in St Peter’s Basilica. I found myself wondering about this – if we now have a significant level of agreement on the Eucharist, how might we express it in the here and now? We needed was a bit of liturgical imagination to signal unity real but incomplete. We then went down to the Crypt for Morning Prayer with the Community of St Anselm – the community of young people giving ‘a year in God’s time’ at Lambeth. They are a source of energy for all of us. We ended there with a visit to the tomb of St Peter and I found it surprisingly moving. Maybe that’s because he is generally regarded as the most human of the disciples. Or maybe because of how he met his end. To be in the presence of and be greeted by Pope Francis is always very special. I was part of the group of Primates and others who were received by him- you’ll have to wait a bit for the photo. 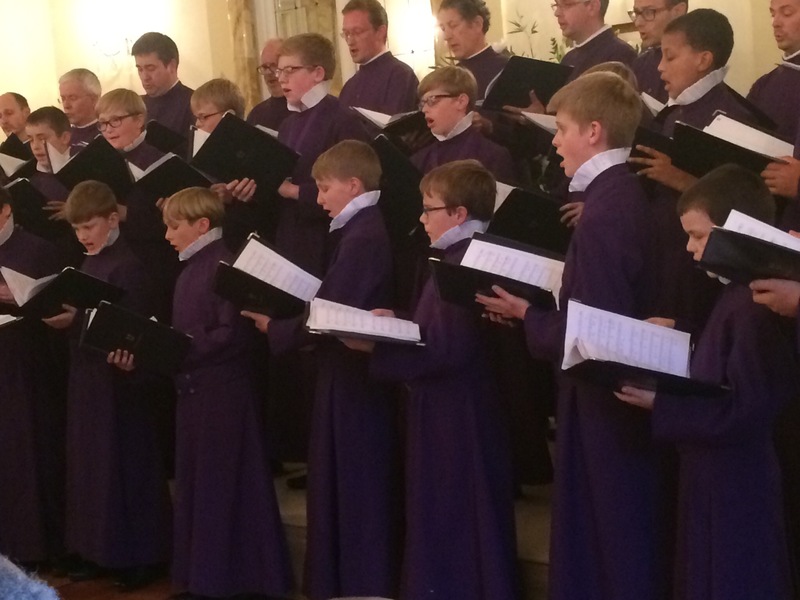 On to the Pontifical Council for Christian Unity – followed by lunch at the British Embassy with the choir of Canterbury Cathedral. Evening Prayer with Archbishop Justin and on for dinner at the Villa Aurora with Prince Nicolo and Principessa Rita Boncompagni Ludovisi – one of the oldest families in Italy. So what does all this achieve. Well first I think that the marking of the 50th Anniversary of the historic meeting between Pope Paul VI and Archbishop Michael Ramsey has recalibrated the baseline in Anglican-Catholic relationships. The fact that I knew Michael Ramsey just makes me feel old! And because most of the people who work in this area were there – along with 14 Primates and many of others – meant that lots of valuable work was going on below the line. I managed a spare half hour – in which I went round the corner to visit the Pantheon and had an ice cream! Next time let me know if you need a chaplain . . . Thanks for keeping us in the loop. Almost feel as if I’m there. When you and I were at Portora School Revd PH Rogers flew the flag at half mast on the death of Pope John XXIII. This led to an indignant editorial in the Impartial Reporter. How times have changed!